With the emergence of various online calling service providers, we can contact others more conveniently and directly on computer. Maybe you do not know what’s a Google Voice number and how to sign up for it, let alone record a Google Voice call. You are lucky to find this guidance to read to clear up your confusions. Let’s check them out. Google Voice is a voicemail service of Google, which allows users to send text messages free of charge, customize the voicemail, read its transcript and etc. This service is accessible for all Gmail users at present. When a user sign up for Google Voice, her/she will be offered one phone number that is connected to them across locations and devices. This number can also work with mobile phones, desk phones, VoIP lines and work phones. Users can manage all phones of them via one number, which also allows users to customize which phone will ring according to specific callers. As for its convenience, more and more users want to know the way to sign up for Google Voice phone number. Actually, this is quite a common issue that can be illustrated clearly in the following steps. 1. 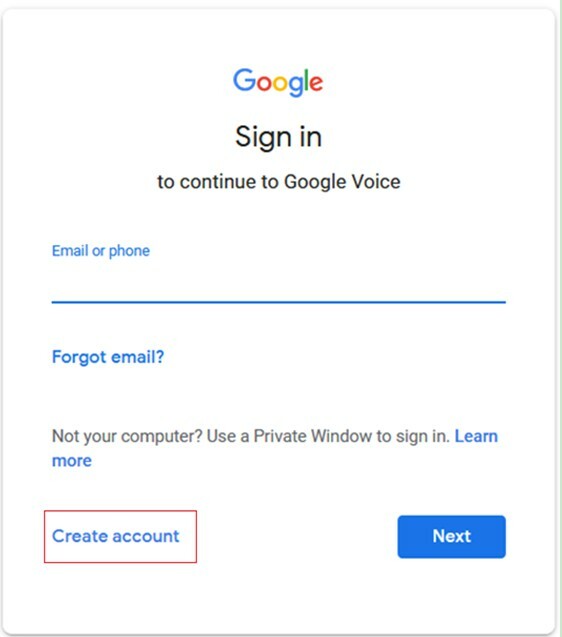 On your computer, you need to go to the website of Google Voice and then click on "Create account". You can see two options: "For myself" and "To manage my business". Choose one according to your demand. Afterwards, you need to use your Gmail account to register the account of Google Voice. Fill in the info on the interface and follow the on-screen instructions to sign up. 3. Search for a number by city or area. If you fail to find one available number, you can try somewhere nearby. After you see a desired number, click "Select" and follow the screen instructions to get this number. After that, you can link another phone number. 4. If you want to check out your Google Voice number, you can go to click on the gear icon in the main interface of Google Voice. Then you need to click on "Settings> Phones" tab. Thus, you can view your number under "Your Google Voice Number". 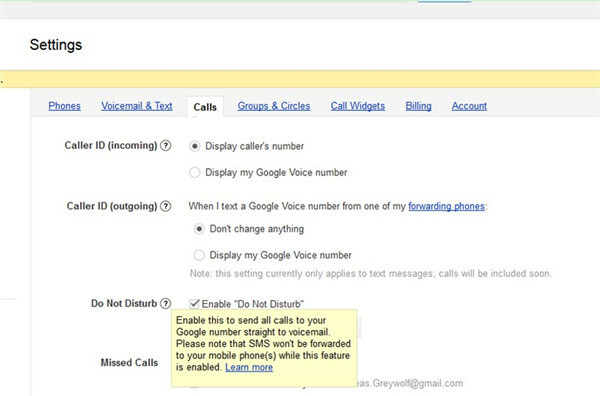 As you can see, to deal with how to find my Google Voice number become easier with the help of the steps shown above. In order to record a Google Voice call, first you need to send the call to voicemail and then play the voicemail file on computer to record it. Here I would like to recommend you make use of Leawo Music Recorder to solve this problem. It can benefit the process to record a Google Voice call to a great degree in saving time and downloading the call to computer local folder. Leawo Music Recorder is the most professional tool that I ever met. It can record computer audio files or input audios with high efficiency and good quality. Now let’s check out the specific method. Open Google Voice on computer and then log it with your own password. Go to click on the "Gear icon> Settings> Calls" successively to check the box next to the option of "Enable ‘Do Not Disturb’ ". Thus, when a Google call comes, it will be saved automatically in voicemail. You can check the voicemail by clicking on "Voicemails" tab in the main interface of Google Voice. 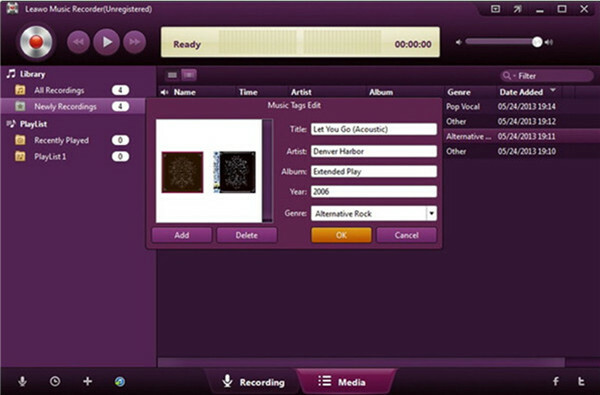 On your computer, you need to run Leawo Music Recorder and then check the option of "Record Computer Audio". 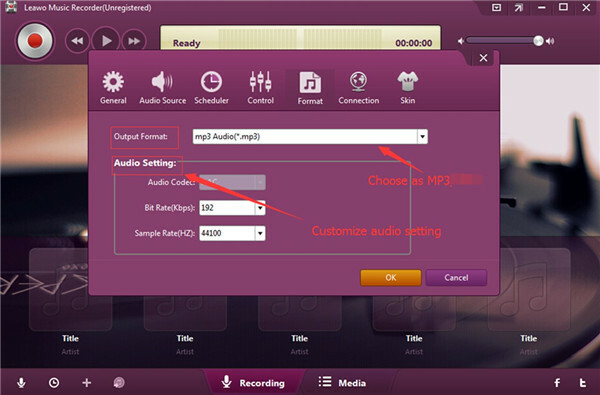 You need to make use of the "Format" panel to choose "mp3 Audio (*.mp3)". 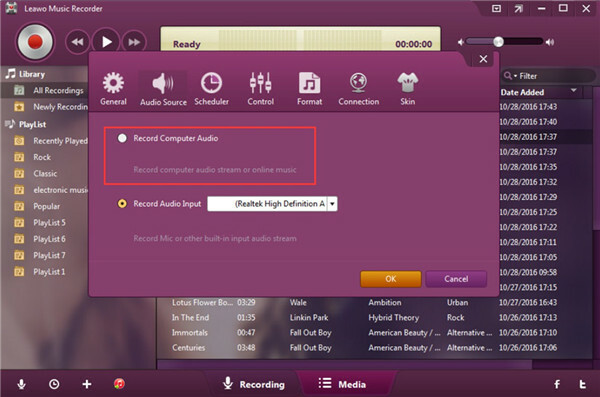 This panel also enables users to set the audio code, bit rate and sample rate of the output files. After that, click on the "General" panel and then choose a computer location to save the exported audio recording. You can choose your favorite language as well in this interface. Move back to the main screen of the software and then hit the red button. Navigate to the "Voicemails" tab in Google Voice interface to choose the call that you want to record to click to enable the playing. Thus, the recorder will begin to record the Google Voice call immediately. When the call is over, you can hit the red button once again. After you get the recorded file, you can right-click on it to invoke the panel of "Music Tags Edit". Thus, you can edit the info of the recoded call in detail. If you want to fix how to turn on Google voicemail on iPhone, you can use the "Settings> Phones" menu to activate Google voicemail on this phone. As for how to stop Google voicemail, you just need to take advantage of "Settings> Phones" to deactivate Google voicemail on this phone. Music Recorder is really one amazing Google Voice recorder for iPhone calls on computer. If you ask "can I make phone calls with Google Voice", the answer is absolutely "Yes". Have a try with Google Voice and Leawo Music Recorder, you will find nothing is insurmountable.